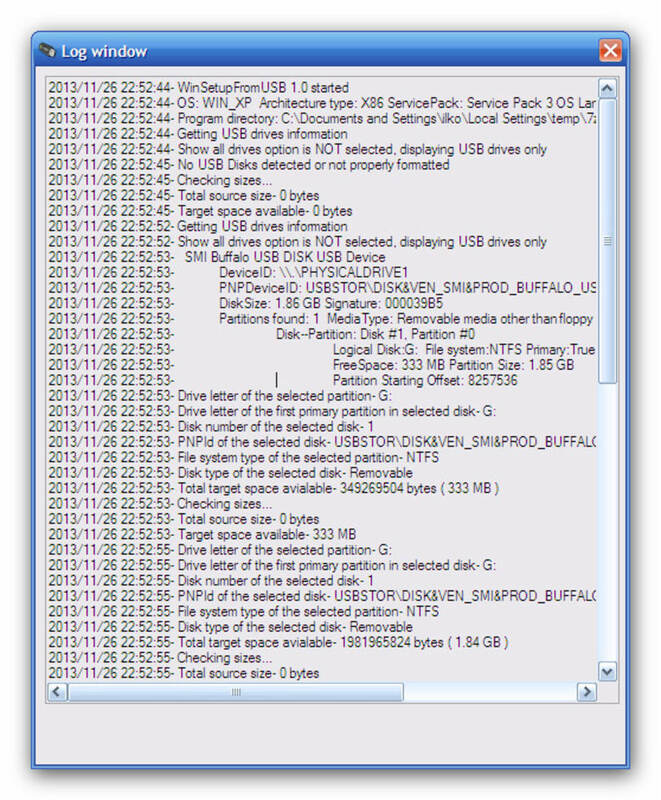 WinSetupFromUSB is a software bundle that allows users to install numerous versions of Windows onto an operating system with the use of a USB storage device. This is an excellent tool in the event that a system has irreparably crashed or if a standard CD is no longer available. The entire project was started as far back as 2006. WinSetupFromUSB can be thought of as an extra level of redundancy to help protect Windows users from a complete loss of their files. One of the main advantages of this platform is that it has the ability to support most versions of Windows developed after Windows XP. Please note that it is also able to handle many applications associated with Linux and DOS. Recent updates have enabled this app to support both 32- and 64-bit versions of Windows. WinSetupFromUSB is able to boot from both BIOS and (U)EFI modes. While its core components are associated with the restoration of Windows systems, it is capable of handling many other ISO files if required. Examples include Arconis, Paragon and Ultimate Boot CD. A final interesting feature is that users can also choose to transfer Windows installation files onto an additional USB storage device. WinSetupFromUSB is a Windows program, which prepares multiboot USB flash or fixed disk to install any Windows versions since 2000/XP, boot various Linux and *BSD flavors, AntiVirus Rescue Disks, as well as many Windows, Linux, DOS based and other utilities. It was developed with Windows setup in mind, but its functionality was extended later to cover many other sources in a multiboot USB disk. -Single WinPE1 source-BartPE, UBCD4Win, LiveXP and similar WinBuilder projects, WinFLPC etc. Simple to use interface, as well as advanced options for experts which give full control. Special formatting option for wider USB boot compatibility on picky machines. 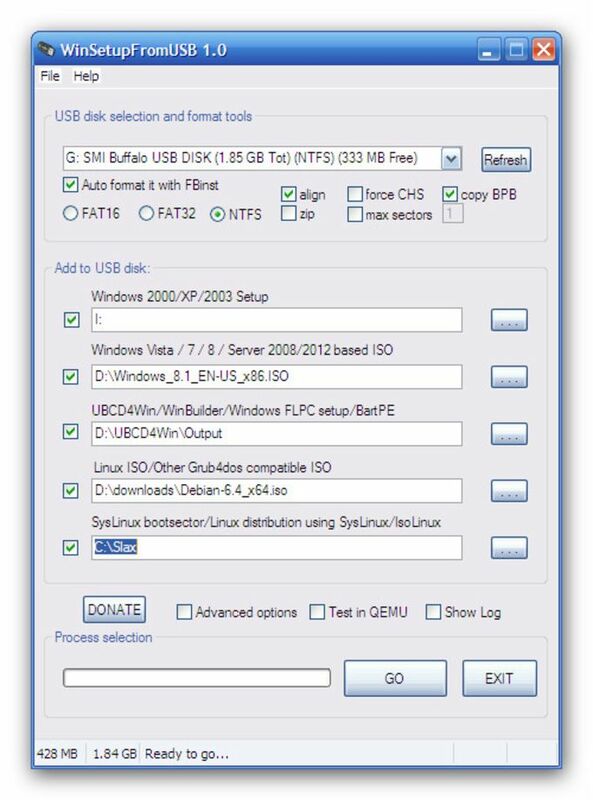 Full support for all Windows versions since Windows 2000, customized sources are accepted as well, number sources limited only to free space on the USB disk. 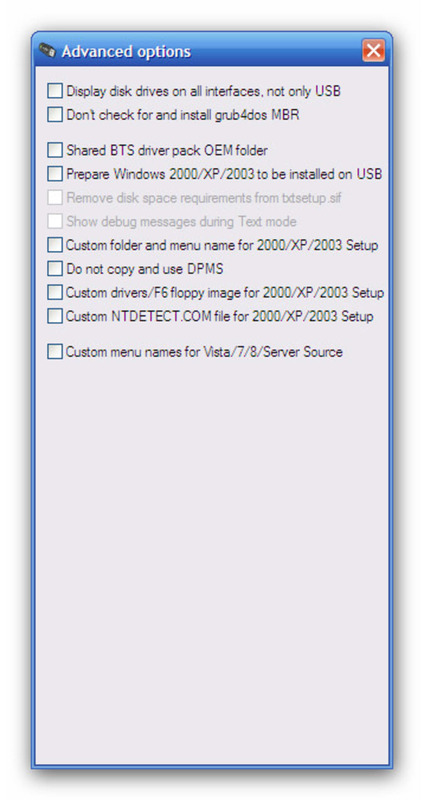 Option to auto integrate the required SATA/AHCI/RAID drivers in XP Setup. 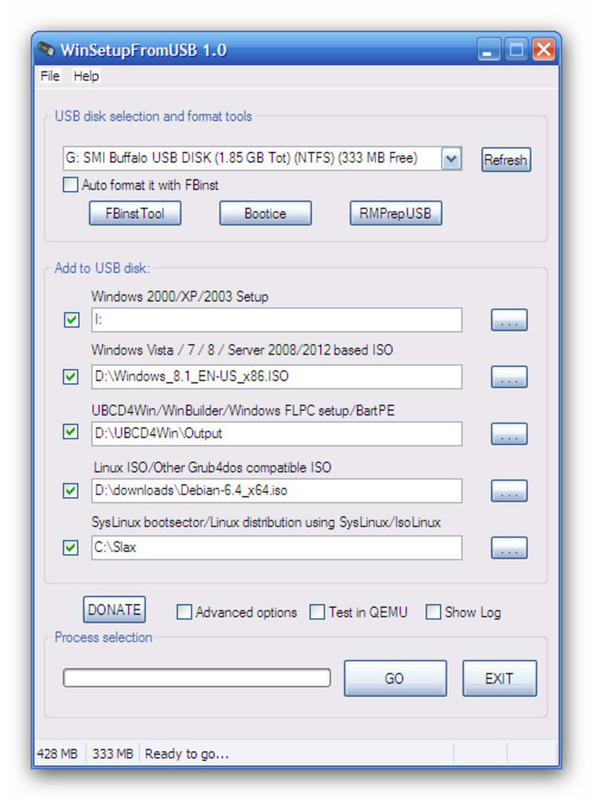 Option to prepare XP/2003 source to be installed from USB to USB disk. Computer technicians, IT managers, computer field engineers, enthusiasts, as well as novices.